The web today is more prevalent in business than it ever has been before. Whether your are a local village florist, or a nationwide engineering firm, digital marketing has the potential to take your business to the next level. Among other things, a well planned and carefully executed campaign can bring brand awareness, consumer trust and an excellent ROI. Bulletpoint is a web marketing company in the Manchester area with a difference. We offer a rounded service, bespoke to each of our clients, with nothing oversold or over complicated. Whether you are looking for Web Design, SEO, Social Media or a combination of services, our dedicated team will work with you to develop an online strategy for your business. Digital marketing can be confusing for many business owners. Many companies make no attempt to properly explain the processes involved, and some use technical jargon as a method for selling services that are often overpriced or unnecessary. At Bulletpoint we understand this, and actively oppose it. We work hard to educate clients in why a digital strategy is needed, and in how it can work for them. We don’t use over complicated language, or pushy sales managers, and we will never oversell our services. We care about every campaign that we run; your success is our success, after all. To talk to a member of our team about your next project, call 0161 979 0589 today or visit our contact page. We are a team of web professionals spanning different areas of expertise, including digital marketing, web development and SEO. Based in Manchester, we pride ourselves in the personal customer service that we offer to our clients. Working with Bulletpoint you will always speak directly to the team member carrying out the work. 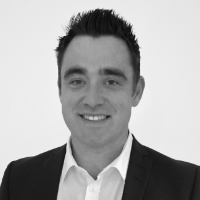 Matthew Priestley, our managing director, is based locally, and has years of experience within our industry. He will personally come to discuss your requirements before starting a project, and can visit further whenever you require during the process. A responsive, mobile friendly website is the first stage to an excellent digital marketing campaign for your business. Search Engine Optimisation makes your website visible to potential customers with high rankings on Google. A well run Social campaign can boost your companies reputation, and increase awareness of your brand. Pay per Click (PPC) advertising is often run side by side with an SEO campaign and guarantees a top-spot in Google. It is important to engage visitors once they reach your website. Video is an excellent way method for doing just that. The reputation of your business is key to success . It is important to keep track of online reviews to maintain a great track record.